The sweet smell of aniseed and herbs gives the classic Barbayannis Blue Label Ouzo a pleasant scent and a delicate flavour. 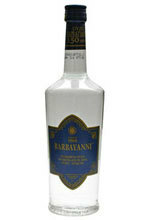 For the past five generations, the Barbayannis Ouzo Producers have been lovingly producing the classic BLUE Ouzo. They use the traditional method, according to the family recipe brought by Efstathios Barbayannis from Russia in 1860, achieving 100% distillation of the ouzo. This ouzo consists of a pure essence of aniseed and sweet-smelling herbs, with an alcohol content of 46% Vol. and contains the distinctive water of Plomari. The renowned Ouzo Barbayanni BLUE has a pleasant scent, a pure and transparent color, and a delicate flavor, creating on your palate sensations of spring breezes and sun-kissed seas. Scotch whiskies are highly distinctive, each having an individual character, and it is these which give to a blend its own particular characteristics. 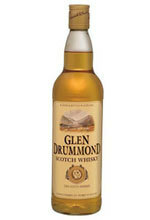 Glen Drummond is a unique combination of the finest selected whiskies which have been allowed to age in oak casks for a number of years, allowing the superlative character and smoothness of Glen Drummond blended Scotch whisky to develop. A charismatic blend for those who look for a whisky which is more than smooth and mellow. Wonderfully complex with some herbal qualities adding to the light grain and heathery-honey malt notes. 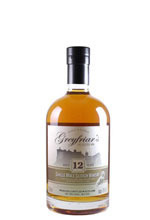 Greyfriar’s 12 Year Old Blended Scotch whisky is the perfect balance of carefully selected Malt and Grain Whiskies blended to produce a mellow taste with a sweet richness and complex depth of flavour. This blend provides a rich fruity floral aroma. Providing a long and lingering finish. 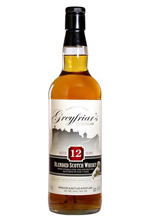 Greyfriar’s 12 Year Old Single Malt Scotch Whisky has lain undisturbed for a minimum of twelve years. Selected by hand from one of Scotland’s most distinguished distillers Greyfriar’s aromas and flavours are perfectly balanced. 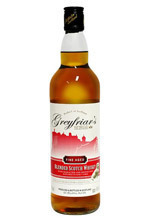 Greyfriar’s Single Malt Whisky is a well-balanced spirit of distinction which demonstrates the whisky distiller’s art. Nose: A beautifully floral aroma is intertwined with hints of spice, fresh fruit and oak. Taste: Delicate on taste with subtle spice and oak notes all enveloped with a mellow, vanilla sweetness. Greyfriar’s is a blend of the finest grain and malt whiskies from Scotland, expertly blended to give mellow taste with a sweet richness and a complex depth of flavour. 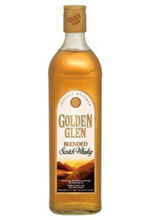 Golden with brilliant clarity, this whisky leaves a clean lingering sweetness on the palate. 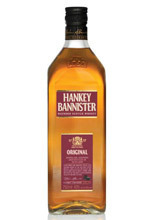 Messrs Hankey and Bannister present their original blend of fine and rare Scotch Whiskies. Hand-selected for quality and crafted with care to create a smooth, light and perfectly balanced blend renowned in society for over 250 years. Available in 750 ml and 1 litre. 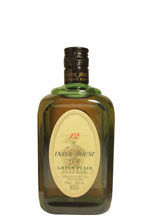 Inver House Green Plaid 12 Year Old Scotch Whisky, created in celebration of Clan Donald, the Lord of the Isles, is a Whisky of individual character and distinction. 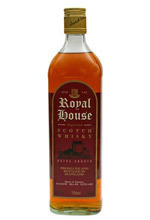 Mellow and rounded, this light delicate whisky fades to a long rich satisfying finish. In 1997, the owners of Prestons Liquor Stores identified the need for the company to produce its very own House Brand Whisky from Scotland. The whisky has a golden and amber appearance with aromas such as sweet, spicy, a fragrant, toffee, green apples and leather. Expect to enjoy interesting flavours like sweetness, honey, spiciness, leather, oil and smoothness. The whisky finishes off being sweet, spicy and long lasting. Ernst Henning established the Schoonspruit Whiskey Distillery in Africa du Sud in 1992. Distilling with water from the original Schoonspruit, gives the whiskey its distinct character. Our distillery employs, four unusual stills with rectifying heads and two conventional pot stills with traditional “swan necks”. This range of stalls allows us to produce a total of eight different single barrel whiskeys. 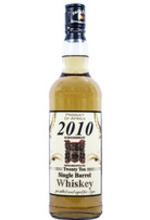 2010 is a premium class whiskey in which each bottles comes from an individual aging barrel. The finest whiskey in the world comes from a single barrel. Big Daddy’s Liquor Stores is the leading franchise wholesale liquor business, supplying bulk liquor quantities at discounted prices, across the Eastern Cape and in Gauteng in South Africa. Big Daddy’s Liquor Stores has branches in Port Elizabeth, East London, Soweto Johannesburg, Uitenhage, Queenstown, Port Alfred, King William’s Town and Jeffrey’s Bay. © Big Daddy’s Liquor Stores. Web development by Perfect Circle & SimonSays.